Vista L-type Pre-wound Black Bobbins, Box of 144. 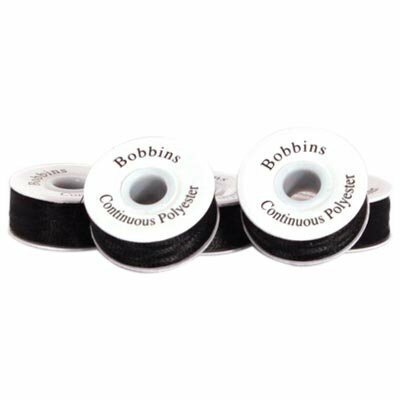 These premium black embroidery bobbins are made with continuous filament twisted polyester thread to resist shredding and breaking. Pre-wound. Cardboard sided. Box of 144 bobbins, 124 yards per bobbin.